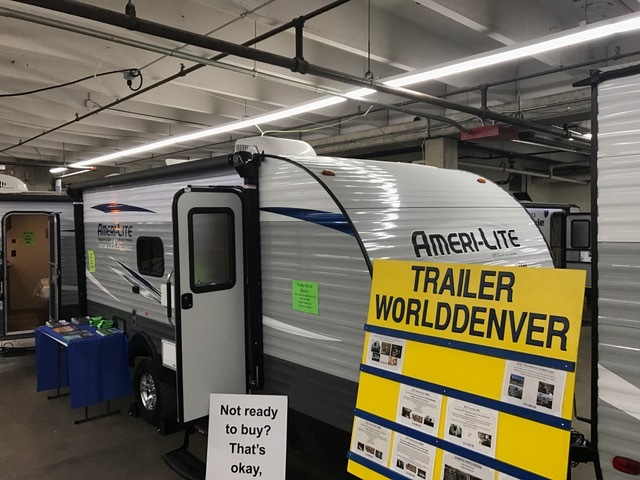 Our Super Lite models (see the floor plans and specifications here) are our most affordable travel trailers. In fact, they often rival pop-ups and other basic campers that don’t offer anything comparable to Super-Lite comfort, security, and durability. If your budget for a travel trailer is limited – If you want a truly economical way to try out the RV lifestyle, there is no better starting point than our Super Lites. 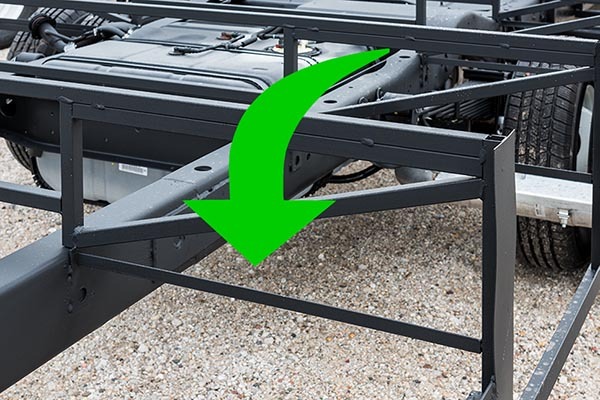 With base weights below 3,200 lbs, our Super Lites can be towed by a suitably equipped car, smaller SUV, or mini-van – No need to invest in a specialized tow vehicle – Just hitch up to your family vehicle. They’re just 7 ft. 8 in. wide, too, so you won’t need extensions for your rear view mirrors. With their short wheelbases, they’re easy to maneuver and turn. They’re small and nimble enough to go virtually everywhere your vehicle can go. 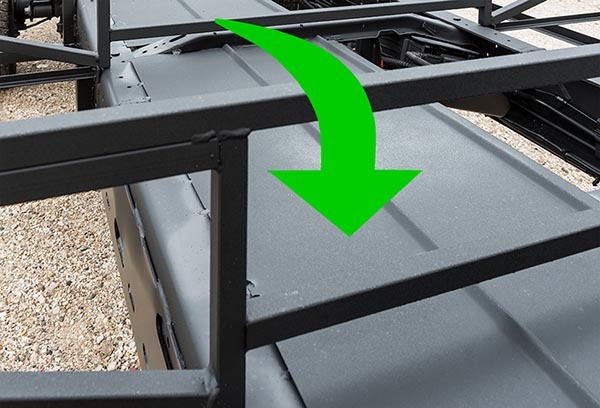 Add it all up, and Super Lite trailers are ideal for new and occasional RV’ers who don’t have a lot of experience towing. 3. They cover all the basics – beautifully! No matter what kind of camping you plan, you’ll want a safe, comfortable, well-insulated place to sleep, a place to sit and relax, a way to make meals and snacks, and a full, ‘dry,’ well-ventilated bathroom. You’ll probably want a stereo for music, and a TV for entertainment; you’ll want a furnace for cool nights and a roof-mounted air conditioner for warm days. Hot and cold water is a must, so is plenty of storage space. Bunks for youngsters? Sure, they’re available too. With a Super Lite, you can have everything you want and need! There’s no reason for you to settle for less, even in an ‘entry-level’ trailer. Plus, we have perfected our floor plans and building methods over a decade, so you benefit from all the input we’ve received from owners, as well as advancements in construction methods and materials. Super Lite travel trailers use our exclusive “Uni-Body Construction” technology (learn more about it here), that ties the walls, floor and ceiling together with tough steel straps. We provide a firm foundation for walls by setting them on top of the floor, then bolting them in place. We hand-cut thick fiberglass insulation to fill the walls, roof, and subfloor, and then glue it in place to prevent settling. Our seamless ‘super-floors’ span up to 25 feet with no seams or joints, to make the floor solid and trouble-free. 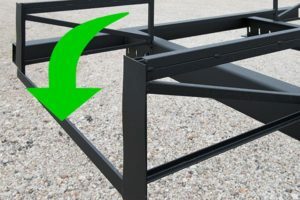 We use rigid tubular steel rails and full-length outriggers in our Super Lite trailers, for a solid foundation; walls and roofs use solid wood studs on 16″ centers, for plenty of strength and durability; and the seamless synthetic roof has a 12-year warranty. Even the Super Lite holding tanks are something to brag about, with the largest capacities of any trailer in this class. Putting it all together, it’s clear: Gulf Stream Coach Super Lite travel trailers are the ideal choice for people who are excited about camping, and want a truly affordable, easy-to-use, rugged and dependable travel trailer. Explore our Web site or visit a Gulf Stream dealer near you to learn more. 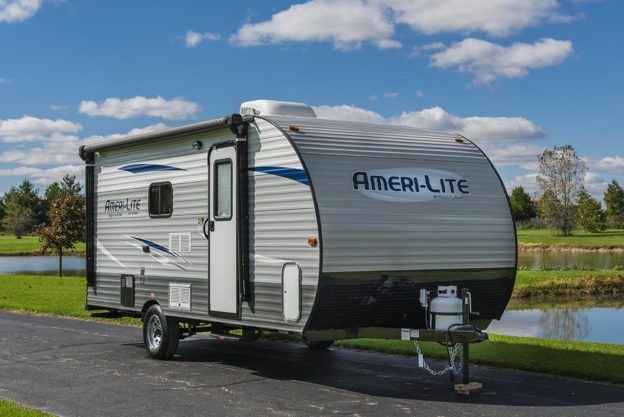 This entry was posted in News and tagged 14RBC, 16BHC, 188RB, 198BH, 199DD, 19DS, Ameri-Lite, Lightweight trailer, Super-Lite, ultra-light trailer, Ultra-Lite on March 14, 2017 by pcampbell@gulfstreamcoach.com. 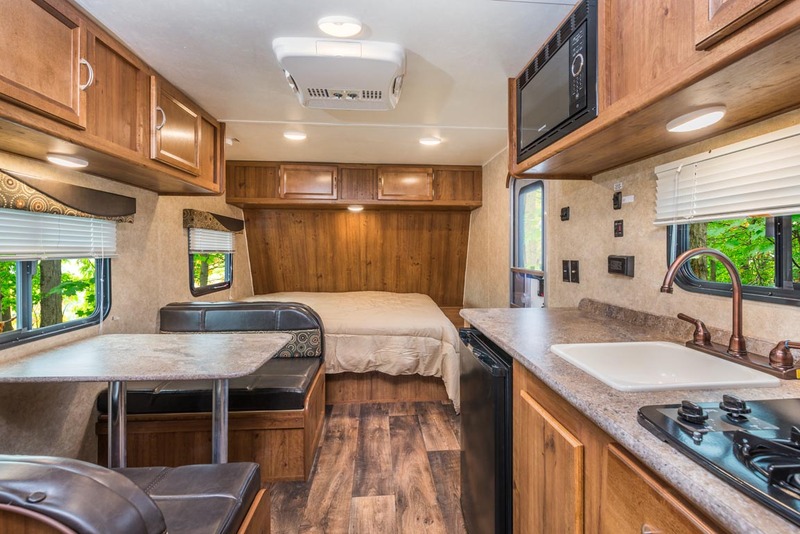 At just over 32 feet in length, the BT Cruiser Model 5316 is the longest BT Cruiser floor plan, with two slides to expand both the main living area and the master bedroom, to provide extraordinary accommodations for a traveling couple. Take a photo tour of the model 5316. Here’s your chance to ‘step inside’ the 5316 and see the way life is lived, Gulf Stream Coach style. You can see the mastery of our own cabinetmakers, working with our Light Roanoke Cherry. 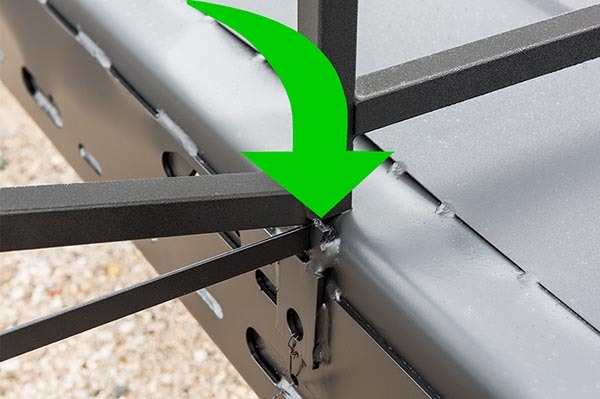 You’ll see the large, deep, round stainless steel kitchen sink that is earning raves from campers who have struggled with tiny plastic sinks so common in RVs. Take a look at a master suite that includes a full wall of closets, wardrobes, and drawers; see the remarkable two-way LED lights, that offer bright white light for reading and cool blue light for after-hours atmosphere. See how the large picture windows in the main living area capture and frame scenic outside views, yet provide a high level of privacy with soft pleated shades. Discover how we’ve adapted the latest electronic entertainment and information systems to the campground environment. Notice how we’ve used every available square inch of space for storage. See the model 5316 in person. See the Model 5316 Photo Gallery here. This entry was posted in News, Product Update on March 9, 2017 by pcampbell@gulfstreamcoach.com. 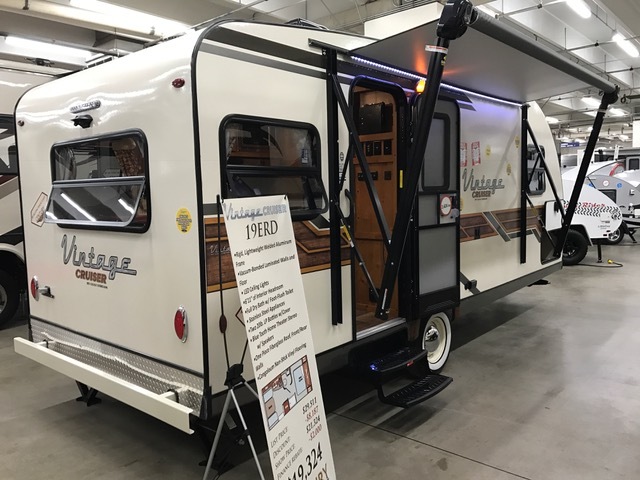 Attend an RV Show next weekend. Factory representatives from Gulf Stream Coach and dealers across North America are in the middle of one of the most important RV rituals in the industry. 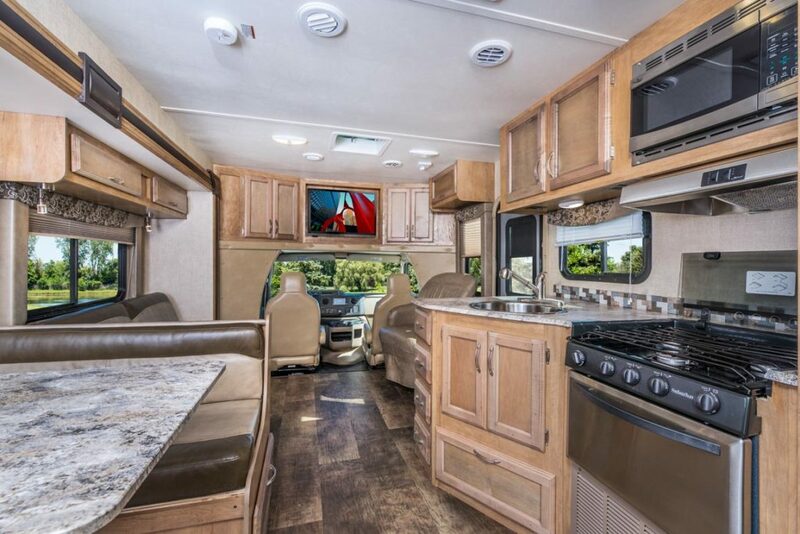 They’re participating in scores of RV Shows throughout the late winter and early spring, in cities, fairgrounds, convention halls, and dealerships everywhere you look. We’re posting a few snapshots from recent shows, but many more are scheduled over the next several weeks. The shows are the ideal way for shoppers to see our products in person, and to compare them side-by-side with other floor plans, styles, and brands. RV Shows are a great place to make your dreams come true. 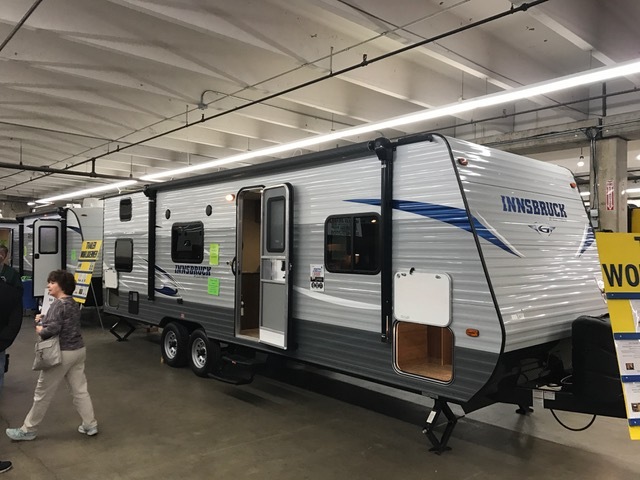 RV shows are great for people in the market for a new travel trailer or motor home, because the products easy to explore and and our own factory representatives are standing by to offer advice and answer questions. 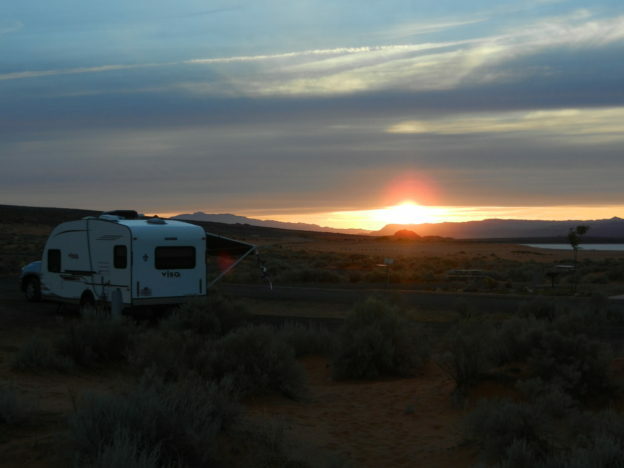 Plus, the timing and the pricing are perfect, making it easy for campers to get the RV they want in time for all the great weather that lies ahead. This entry was posted in Events, News on March 6, 2017 by pcampbell@gulfstreamcoach.com. Getting a price is EASY! For most of us, a big buying decision has many factors, and one of the most important is PRICE! It’s key to budgeting, saving, and shopping. It can turn our wishful thinking into action, and can help us sort through countless options and alternatives. That’s why we want you to have the price information you need when you’re considering a Gulf Stream Coach travel trailer, motor home, fifth wheel, or toy hauer. 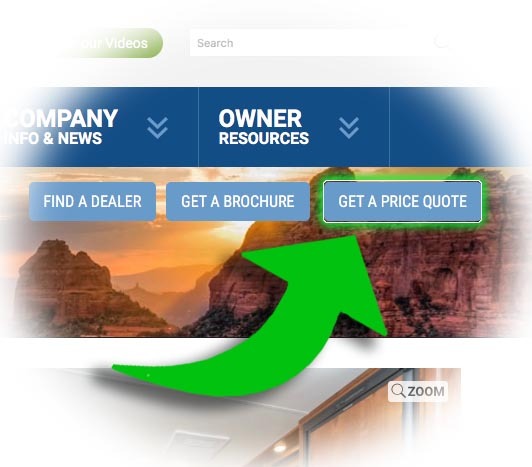 To do that, we’ve provided a “Get A Price Quote ” button throughout our Web site. Find this button and give it a click! When you click the “Get A Price Quote” button, it takes you to a page where you can tell us what brand and floor plan interests you. It also allows you to pick possible options, and add questions or comments about your inquiry. Go ahead – Click the button! – Take a look! Try it! There is NO cost or obligation of any kind. We just want you to get you the information you need. It’s the ideal starting point in the shopping process. We forward your request for a price to a Gulf Stream dealer near you. (That’s why the form asks for a basic idea of where you live.) The dealer can give you a real-world, market-based price for the product you inquired about. They’ll get right back to you by email – or with a phone call if you prefer – with the price you need, and, occasionally, with useful suggestions. 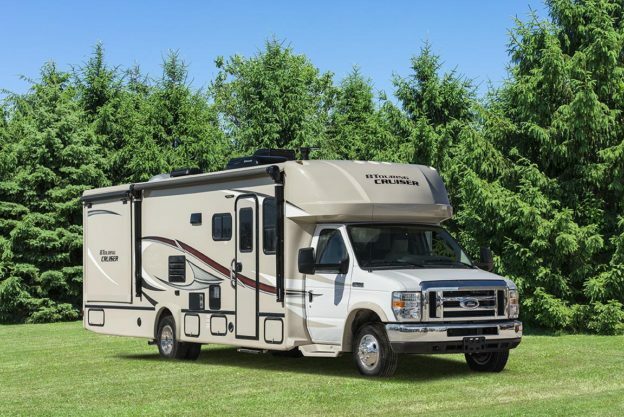 It’s just that simple and easy to know what it will take to make your dreams of owning a Gulf Stream Coach travel trailer or motor home come true. This entry was posted in News on March 2, 2017 by pcampbell@gulfstreamcoach.com. (March 1, 2017) This stunning view of the sun setting behind a ridge in the high plains of Utah is a good reminder of what we can see, where we can go, and what we can do when we go camping. The photo, sent in by Gulf Stream Coach owner Ken Hughes, shows his 2012 VISA (the predecessor of our current Vista Cruiser and Vintage Cruiser travel trailers) proving that some of the most beautiful things in this world can be staged for our own private enjoyment when we leave the day-to-day world behind and go camping. Whether you’re looking for the peace and solitude of a high plains sunset, the informal camaraderie of newfound friends at a campground, or an action-filled family vacation where the iPads and smart phones are left idle for hours at a time, Gulf Stream Coach has the travel trailer, motor home, fifth wheel, or toy hauler that’s just right for you. 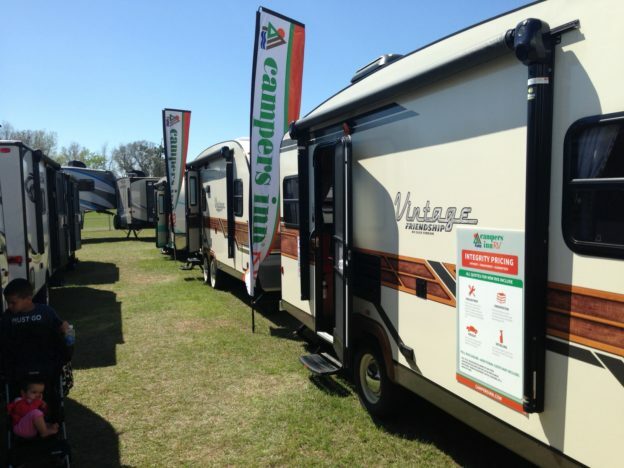 Our broad range of prices, styles, sizes, and forms of Recreational Vehicles is virtually unmatched in the industry. So is our commitment to people who love to camp. This entry was posted in News on March 1, 2017 by pcampbell@gulfstreamcoach.com.